Discover How to Sell Online Free with these marketplaces. Discover How to Sell Online Free with these marketplaces. That’s the key focus of this post. These marketplaces may not be so well-known, but you can give them a try to see how they work out for you. 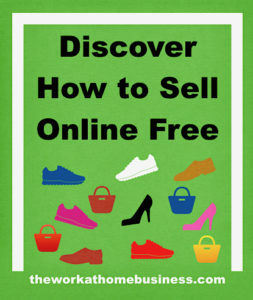 In this post, you will Discover How to Sell Online Free, from cars to antiques and pieces of art. Important to realize that good photographs and strong description of your products are central to getting them sold quickly. VarageSale.com is free for you to use, but you must get approval to join a community before you can sell with them. There are no charges to list your items, neither are there any commissions. Basically, this is similar to Craigslist. Point is that you post your ad and meet people who are interested in making a purchase. Valorebooks.com: In case you want to sell new and used books, this marketplace allows you to list them for free. You only pay when you sell items. A key point to note is that they accept more than just the text books used in college. When you sell with them, you can reach more than 10 million visitors to their website annually. Notably, they take care of all your transaction whenever a book sells. Then they notify you about the sale and payment. In addition, you also have access to their “Enterprise Sales Program” which is a different approach to reach other consumers. Specifically, the objective is to increase your book sales on a regular basis, and it involves bulk orders. In this case, they take your left over inventory and make it available for other buyers who want to purchase in bulk. As a result your books are exposed to potential customers. Here are some requirements to get in on this program. For this program, it is important to realize that teachers are excluded, likewise international participants. Additionally, they do not accept alternate edition of books. For all the brand name fashion conscious ladies, men and kids, you will love poshmark.com. This large social marketplace focuses on top brand name fashion and accessories. To emphasize, you connect with others to buy and sell clothes and accessories from each other. To join this marketplace, you can connect with the free app on your iPhone, iPad, and Android phone. “Download the app here from the Apple App store or Google Play store.” In addition, you can also access the marketplace on their website poshmark.com. Attend a virtual shopping party. 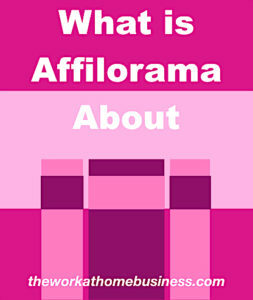 This affair takes place in the app whereby you scan, buy and list items with a community of friends. Pack and ship your items quickly with PoshPost: No need to purchase stamps, just print the pre addressed labels for your package. Drop off your package at a USPS mailbox or request a pick up free of cost. A key point to note is that your prepaid shipping covers a total of 5 pounds, and this is paid for by the buyer. Another point is that once your sale is under $15.00 you pay a flat fee of $2.95. On the other hand, all other sales is a 20% cut for Poshmark. At oodle.com, they promote other marketplaces and get more than 15 million unique visitors each month. You can sell, buy and trade just about anything. There are many categories to list in, from arts & crafts, antiques, collectibles, electronics, appliances, and tools, just a few listed here. Listing is free of cost. As a matter of fact, you can list houses and even look for a job. Zibbet.com is a powerful global marketplace for those sellers who are passionate about their art, craft and vintage collection. Even though you can list your items free, they offer the option for you to upgrade and have access to more features. Upgrade certainly offers the opportunity for you to create your own website to sell your products. Similarly, you can also open a store on their marketplace. Needless to say, the inventory and orders for the two are linked and are easy to manage. Discover how to sell on Zibbet. Indeed, Storenvy has grown quite fast as a “social shopping marketplace.” Seting up a store is easy and you can list up to 500 products for free. One cool feature is their email tool for you to send customers special codes to get discounts, and for cart recovery. Important to note here is that you do not pay monthly fees, moreover listing fees. Despite these incentives, Storenvy do take 10% for every sale that their marketplace drive to your business. Notably, you keep 100% earnings from your custom store. Join them here. For this marketplace, you only sign up with a valid email address to start creating ads for your products. There are 3 different ways to do so. Your listings are allowed on the website for up to 30 days, after which you will pay. To be sure, being a member with sell. com is free. However, when you sell products and services, you may pay listing and selling fees. Then again, if you place an ad, they give you the chance to review it before accepting the listing fees. In light of this, sell. com is not completely free. Bearing this in mind, you pay all applicable fees connected to the service that you use. By the same token, they can also make changes to the fees, and services they offer. For more information, you can check this link. CoupRecoup.com deals specifically with coupons, but is geared for the local market. It offers the opportunity for you to sell coupons that you think you may not use. In the event that you miss out on a great deal for a coupon you can check this local marketplace. Swappa.com is indeed the ultimate marketplace for you to sell gently used technology. For instance, categories include: mobile, home tech, video games laptops, VR headsets and watches. An important note here is that your device must meet the requirements for listing. Then it goes through their approval process before you can start selling. As a seller you do not pay fees to Swappa, but a fee may be added to the buyer’s purchase. This is their fee structure. To point out, you pay a small fee to PayPal when your item is sold and you receive a payment. Exchangemyphone.com: Specifically, this is where you can sell your phone. Once you tell them the condition your phone is in, they give you a quote instantly. If you take the offer, they bear the shipping cost. As soon as they get your phone, it is inspected to see if is in accordance with the online quote. If it meets their standard, they send a payment through PayPal. See how it works here. Overall, I hope you will find these marketplaces helpful to sell your items. There are quite a lot of channels provided here on how to sell online. Are these selling outlets affiliate based or are you having to sell the actual products yourself.? Thanks for visiting. Some of these companies do offer affiliate links. Others like Sell.com and Varagesale.com are companies that you just join without affiliate link. Wow! I had no idea there were so many free marketplaces for selling online. Storenvy seems to operate as both a giant affiliate advertiser and a “Shopify”-type ecommerce site. I thought several of these options were worth checking out. Thanks for posting them! From my research, these are some of the best free marketplaces. Hope you will find the right option.